SSX 3 is a 3rd person snowboard racing game that was released by EA in 2003 for various systems, including the GameCube, PlayStation 2 and Xbox. As the name would suggest, this is the 3rd game in the series though the second game was called SSX Tricky. As far as this type of game goes, this was one of the best. It received very high ratings and sold well. I’m not much of a fan of sports game in general but this one plays more like a racing game. I happen to like racing games. If you like racing games then you may like this game regardless of your feelings about snowboarding or sports games in general. However, a significant component of the game is performing tricks both during races and as part of separate freestyle events. This is an excellent example of the genre so if you have any interest at all this one is worth giving a shot. The good news is that there is even a recent release of this game in the form of an enhanced Xbox One port that was released in 2018. Otherwise, an original copy for the Xbox, PS2 or GameCube shouldn’t be too hard to track down either. The image at the top is from Girls of Gaming and features Elise, one of the characters from the game. Screen shots are from the GameCube version of the game. Licensed games usually get a bad rap for a reason, they’re rushed to market, are full of generic ideas and gameplay elements and rarely ever end up being worth the $8 value ticket to whatever movie they’re promoting. 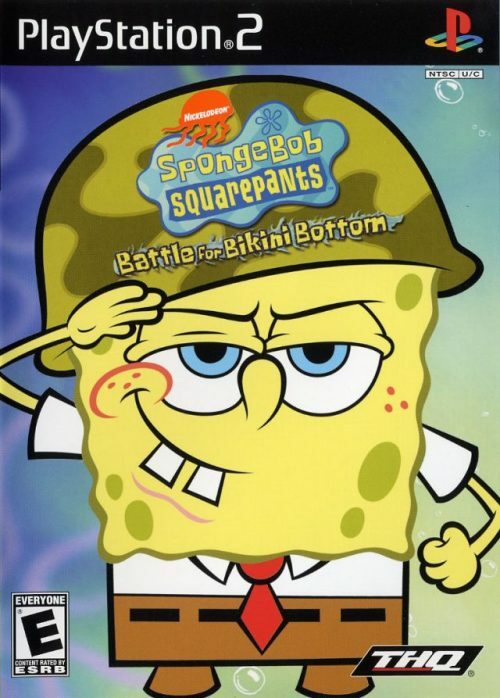 But back on PS2, Xbox and Gamecube came an unlikely entry into the pantheon of great 6th gen platforms: Spongebob Squarepants Battle for Bikini Bottom. 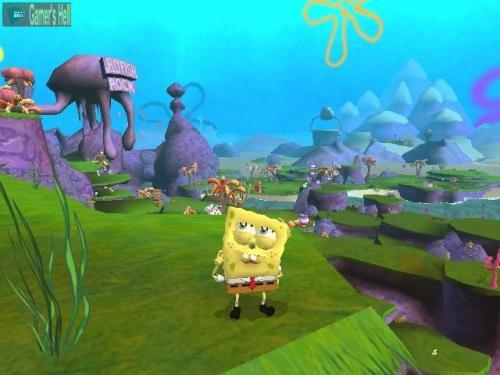 Unlike many of the other examples of licensed games, especially from that era, BfBB had a masterful grasp on what Spongebob was and how to translate that to a fun game that could be enjoyed by all ages, much like the cartoon at the time, which you’ll remember, was explosively popular. There are three distinct versions of SpongeBob SquarePants: Battle for Bikini Bottom, all of which were released in 2003. The first and most well known is a 3D platformer that was released for the PlayStation 2, Xbox and GameCube. The second is a 2D platformer released for the Game Boy Advance. The third is a point and click adventure game released for Windows. All versions are of course based on the cartoon of the same name. The best version is probably the 3D platformer for the PS2 and other platforms. While licensed games such as these are often mediocre at best and downright awful more often than not, I’ve found that games based on cartoons are often an exception. There a a number of great games based on Disney properties and Looney Tunes among others. This SpongeBob game is also, surprisingly, a decent game. 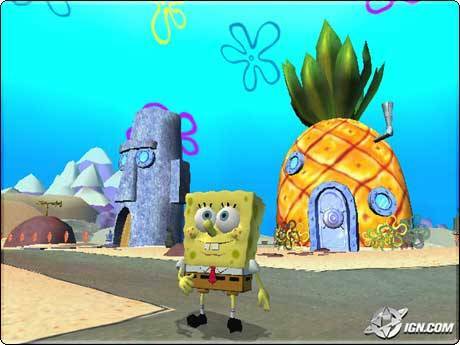 While it isn’t anything spectacular and the gameplay is pretty generic for a 3D platformer, the SpongeBob theme adds humor and a uniqueness that makes this one worth playing…at least if you are a SpongeBob fan. 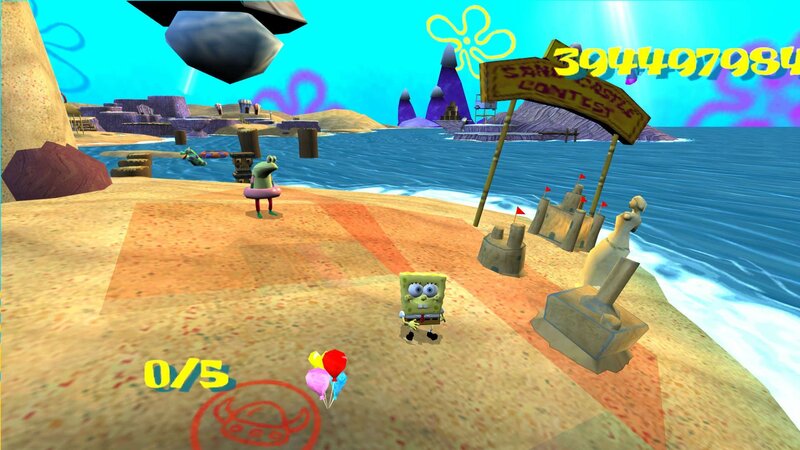 The player gets to play three characters including SpongeBob, Patrick and Sandy. The goal is simply to collect various items that are necessary to progress to the next level. Along the way, you will of course face various obstacles and enemies. Each characters has their own special moves and some levels require the use of a certain character and their moves to progress. While this game is not particularly innovative or otherwise special, the gameplay is solid and it will certainly appeal to fans of SpongeBob. Those looking for a 2D game with the same theme should also enjoy the GameBoy Advance version. As far as I know, neither has found its way to any kind of virtual console or other modern release so you will have to track down an original or use emulation. As far as the 3D version, all of the ports are about the same so pick your favorite system (Gamecube, PS2 or Xbox). 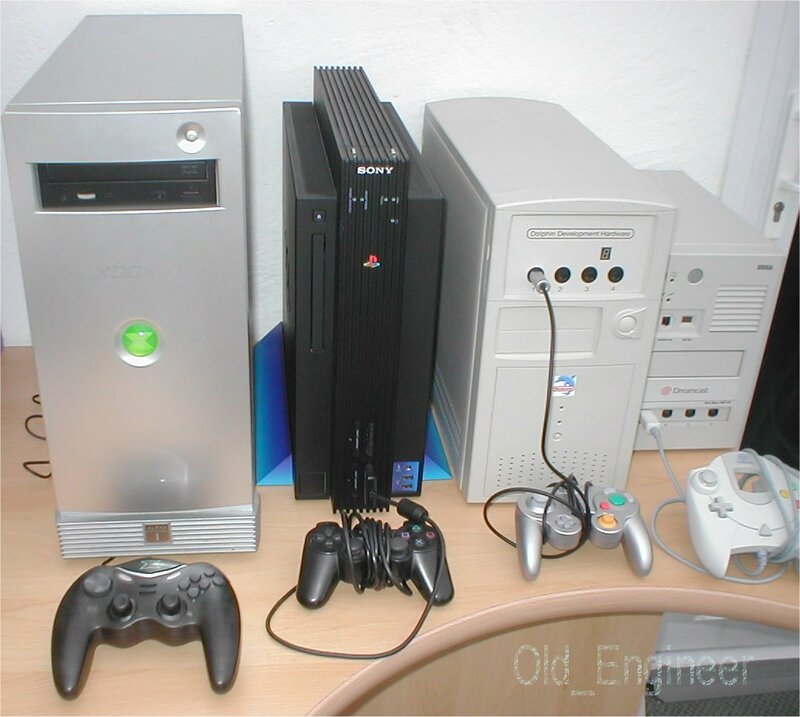 Development systems for the Xbox, PS2, Gamecube, and Dreamcast.